Custom Rollforming Corp, a member of The Bradbury Group, continues to look forward - planning a path to best serve our expanding customer base. We are happy to announce a transition in leadership at CRC. Working together, this team will position us for the future. Bryan Smith, a graduate of Kansas State University with a bachelor’s in mechanical engineering, will step into his new role as General Manager of CRC beginning July 1. He will set the vision and direction for future growth. 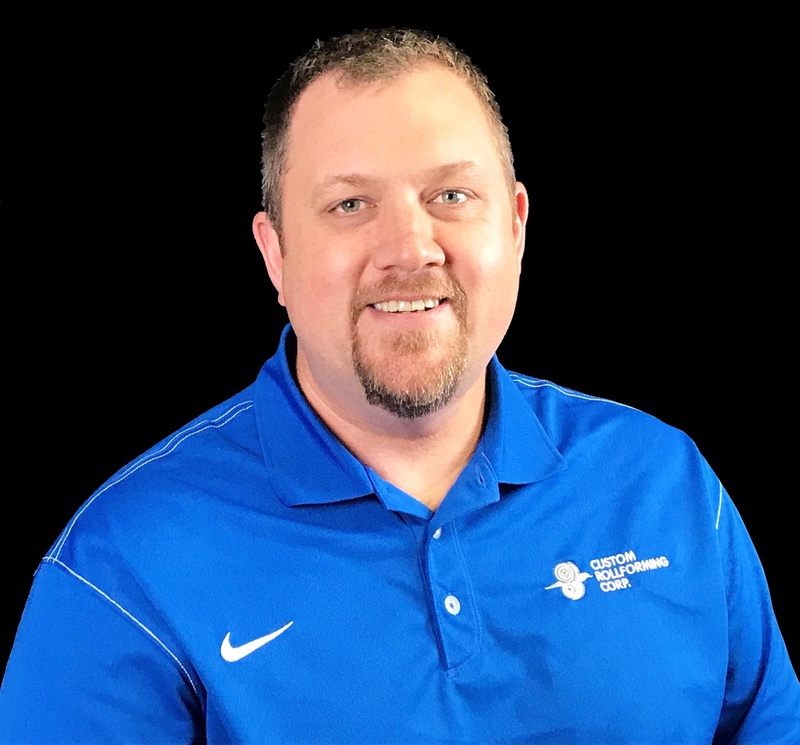 Bryan has been with CRC for the past six months as the National Sales Director, focusing on sales growth and familiarizing himself with our operations. Prior to joining CRC, Bryan worked for 15 years at Titan Trailer Mfg. in Waterville, KS. Beginning his career as a design engineer, he spent the last 13 years as production manager where he was involved with customer service and all aspects of daily manufacturing management. The Bradbury Group will exhibit at Modex 2018, the largest supply chain expo in North and South America, in Atlanta, GA, April 9 - 12. Modex allows attendees to view and learn about the latest manufacturing and supply chain equipment and technologies. Whether you need a fully automated roll forming line or custom roll formed parts, The Bradbury Group can offer you the solution you need for shelving and racking, transportation, warehouse, decking, and more. The Bradbury Co., Inc. specializes in designing and building customized manufacturing equipment for your unique product. Our roll forming equipment can produce open and welded structural sections, offering pre-punch/notch/post-cut, post-forming, in-line and secondary processes providing a complete solution for your manufacturing needs. Hands free thread up, in-line joining, rafted tooling, integrated welding, robotics and download capability are some of the many options that maximize each system's efficiency. 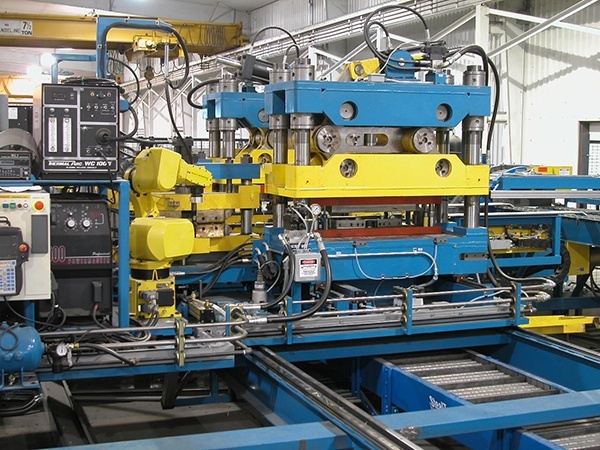 Custom Rollforming Corp. is a custom roll form company which houses ten Bradbury roll forming lines in 51,000 square feet of manufacturing space and serves a variety of industries. Let CRC manage the flow of product to your facility to save you space and the expense involved with warehousing a large inventory of raw material and finished goods. Custom Rollforming Corp. will review your production requirements and usage cycles and calculate the output quantities, stocking inventory, and delivery times to accommodate your production schedule. Custom Rollforming Corp., located in Moundridge, KS, is a custom roll form company which houses ten Bradbury roll forming lines in 51,000 square feet of manufacturing space and serves a variety of industries including agriculture, transportation, solar, and construction. Equipped to handle a wide variety of roll forming operations efficiently and economically, CRC can produce your simple or complex roll form shapes. Production of consistently accurate roll formed parts begins with expert engineering and design assistance. As a member of The Bradbury Group, the synergy between CRC and the other Bradbury Group companies has benefited clients for over 50 years. Tooling is designed in-house by knowledgeable engineers using the latest CAD technology and is manufactured to exact specifications. CRC will store and maintain your tooling free of charge. If your tooling ever requires repair or replacement, CRC will take care of it. The CRC team will evaluate your requirements and develop an optimized production schedule that saves you time and money. CRC reviews production practices to comply with the latest industrial quality control standards and programs; adhering to project specific criteria requested by the clients. View the new website at http://customrollformingcorp.com and the video below to see what Custom Rollforming Corp. has to offer. Custom Rollforming Corp. will be exhibiting at Solar Power International 2016 in Las Vegas, Nevada, September 12th through 15th. Stop by and visit with us at booth #2880. Click below to view a video on the capabilities of Custom Rollforming Corp.
Click on the image above or click here to register.